Supporting UN Negotiations to adopt a treaty to ban nuclear weapons. The Women’s March to Ban the Bomb!. Bringing together people of all genders, sexual orientations, ages, races, abilities, nationalities, cultures, faiths, political orientations and backgrounds, marches in NYC and around the world have been launched in support of negotiations taking place at the united Nations for a treaty to ban Nuclear Weapons! Where: Gathering Point near US Capitol • Independence Ave and Third Street • Washington D.C.
We stand together in solidarity with our partners and children for the protection of our rights, our safety, our health, and our families -- recognizing that our vibrant and diverse communities are the strength of our country... Because women's rights are human rights. 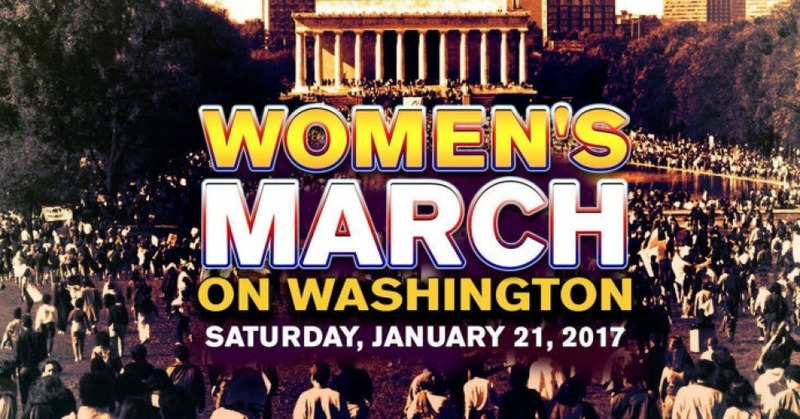 Join the January 21 march in Washington, or in cities across the country. This is an inclusive and free march, and everyone who supports women's rights is invited to join. The MILLION PEOPLE’S MARCH Against Police Brutality, Racial Injustice, And Economic Inequality, happens Saturday, JULY 25, 2015,12 Noon, at the Lincoln Monument, near intersection of West Market Street & Springfield Avenue, Newark, New Jersey. The march is sponsored by People’s Organization For Progress (POP), and endorsed by community, labor, student, and progressive organizations. Counter-Summit: Say No to NATO! There will be more than 50 heads of state participating in the upcoming NATO Summit in Chicago May 20-21. Read more about Counter-Summit: Say No to NATO! Join thousands of 99%-ers who are coming to Washington, DC during the first week of December to take back the Capitol from corporate control. We can have a real impact as Congress deliberates the extension of unemployment insurance benefits for more than 2 million people and the deficit reduction recommendations of the Super-Committee—which could include devastating cuts that would destroy millions of jobs. March and Rally: Bring the Troops Home Now! Read more about March and Rally: Bring the Troops Home Now! Malalai Joya Events are ON for Friday, Saturday! Read more about Malalai Joya Events are ON for Friday, Saturday! Rally begins at Lincoln Memorial at 8 a.m. followed by a march to the King Memorial. 99% Solidarity is excited to participate in nonviolent direct actions in Chicago from May 18 to 22, 2012. Led by Cathy Hoffman and Ken Butigan, a weekend nonviolence training session was held in Cambridge for Campaign Nonviolence (http://paceebene.org/campaign-nonviolence). The training brought local peace activists together with folks from Connecticut, Maine, New Hampshire, Worcester and Dighton, MA and one stalwart life-long activist from Baltimore, Maryland. The Afghan War is Brutal, Expensive, Unpopular, and Ineffective â€“ So Why Are We Spending Billions on It? While millions of Americans are experiencing unemployment, wage stagnation, rising tuition, dwindling social services, and poverty at levels not seen since the Great Depression, an unjustifiably large proportion of our taxes are being used to cause death and destruction in Afghanistan. With Afghanistan being the longest war the U.S. has ever officially waged, we should carefully examine the costs of the war - financial and otherwise - and ask ourselves, is it really worth it? Afghan activist and former Member of Parliament, Malalai Joya, wants the U.S. and NATO out of her country. She will soon embark on a new US speaking tour to help reinvigorate the war debate. The war costs taxpayers between $500,000 to $1 million per soldier in Afghanistan every year. Since President Obama deployed thousands of more troops than Bush, the escalating war has come with a bloated price tag. So far, we have spent $336 billion on the war, and if Congress approves a request for additional funding, that number will go up to $455.4 billion – nearly half a trillion dollars. According to CostofWar.com, just the $120 billion in additional funding could fund 1.6 million elementary school teachers for a year, 1.9 million firefighters for a year, or $5,550 Pell Grants for 19.3 million students. A single month’s expenses on the Afghanistan war could pay for 46.9 billion meals for the hungry each month. Six months’ worth of Afghanistan war expenses could pay for school supplies for every single child in the world. In addition to its financial price, the Afghanistan war is costing real human lives. Over the course of the entire war, at least 1,400 U.S. troops have been killed and over 10,000 wounded. The rate of deaths is also increasing, as more than a third of the total troops killed (499) died just during the past year. The price paid by ordinary Afghans is even greater. Not counting so-called insurgents, at least 2,412 civilians were killed and 3,803 were wounded in just the first 10 months of last year – these are most likely conservative estimates. The rate of Afghan civilian deaths is up 20 percent compared to the year before, directly corresponding to the increased troop levels under President Obama. In fact, over the course of the war, U.S.-led military actions have resulted in more direct civilian deaths (5,791 - 9,060) than “insurgent”-led actions (4,949 - 6,499). Read more about The Afghan War is Brutal, Expensive, Unpopular, and Ineffective â€“ So Why Are We Spending Billions on It?